Exact Editions Blog | Who Wants to be a Magazine? Who Wants to be a Magazine? Something strange is happening in the digital magazine space at the moment. The idea of being a digital magazine has never been sexier or more sought after. The styling, design quality, photo-realism, sharpness and typographical cool of the magazine idea is as strong as it has ever been. Magazines are to die for if you are not a magazine. Facebook’s paper is not yet available in the European iTunes stores, but I look forward to giving Paper the thumbs over. It is an enormous tribute to our magazine heritage that Facebook is now showing itself in the guise of a magazine. 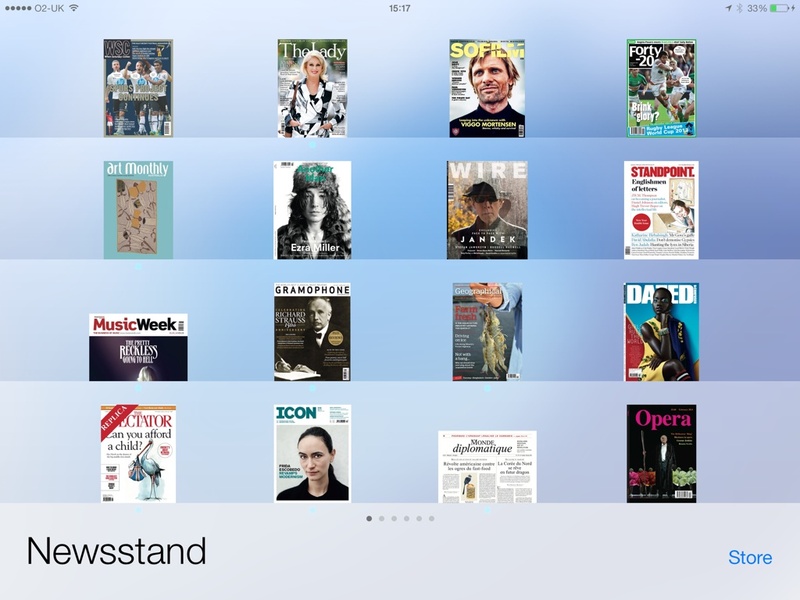 Flipboard has always touted its affinity with magazines and it is now snuggling up even closer to the magazine model. Nor are these two major players the only examples of companies outside the magazine industry trying to reinvent magazines as digital propositions. In this last two weeks we have also seen Medium take its first external funding. This is a company that aims to revolutionize long-form writing and blogging at New Yorker-type levels of quality, and then there is Jason Kilar of Hulu fame trying to put together a Hulu for magazines. — Paid content: Only a small proportion of smartphone and tablet owners are prepared to regularly pay for digital editions. — Usefulness: Lots of people will pay for apps that do something, largely games or tools. Add to that the fact publishers are competing for consumer time with games, social media and any other distratctions availble in the digital world, and the need for new approaches that break out of the newsstand mentality is clear. Simply re-packaging magazine content in digital formats is only going to get you so far. theMediaBriefing: Breaking out of the Newsstand: Why Dennis and Future are Looking Beyond Digital Editions. Some magazine publishers are it seems giving up on the idea of digital magazines. Just as Facebook, Flipboard and Medium decide that this is where the digital future for consumers lies. Could it be that digital magazines in general could work a lot better if they were well done? There is something very glib in that phrase “Simply re-packaging magazine content”, simply can mean “Badly, dumbly” or it can mean “Efficiently, brilliantly”. I am not sure that the digital monsters (Facebook et al) will be that great at making digital magazines, but I know that some shrewd traditional magazine publishers are already on track to having a great digital audience. The key to this is to build a very good app, as magazine-like as possible. of things from itt on the topic oof blogging. thanks. really tiny about short article rewriters.